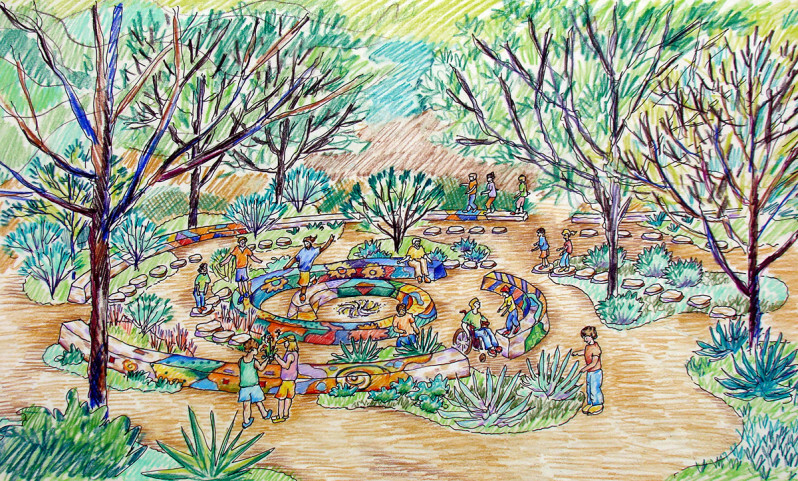 The Luci and Ian Family Garden at the Lady Bird Johnson Wildflower Center is all about evoking the spirit of the Central Texas native landscape, through a sequence of destinations that offer a variety of visitor experiences. 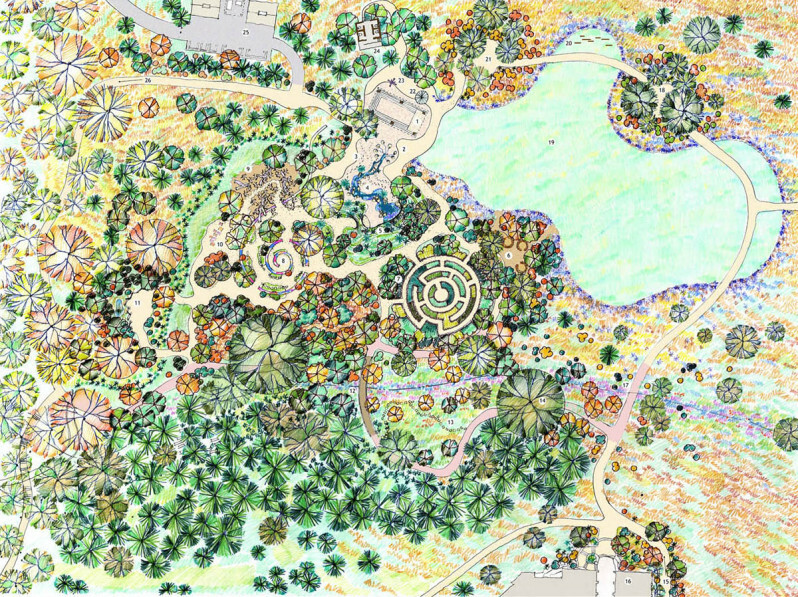 It was also a pilot project for the Sustainable Sites Initiative (SITES). Created with TBG Partners. 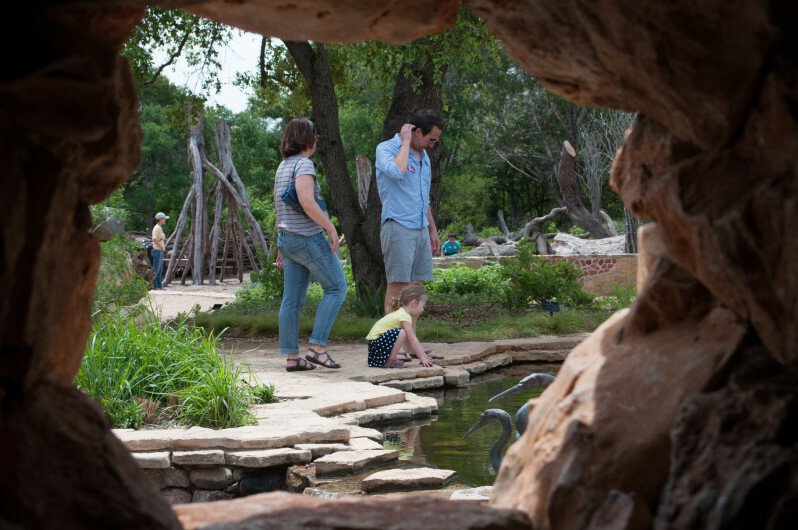 More than a children’s garden, the Luci and Ian Family Garden doubles the overall display space at the Lady Bird Johnson Wildflower Center. 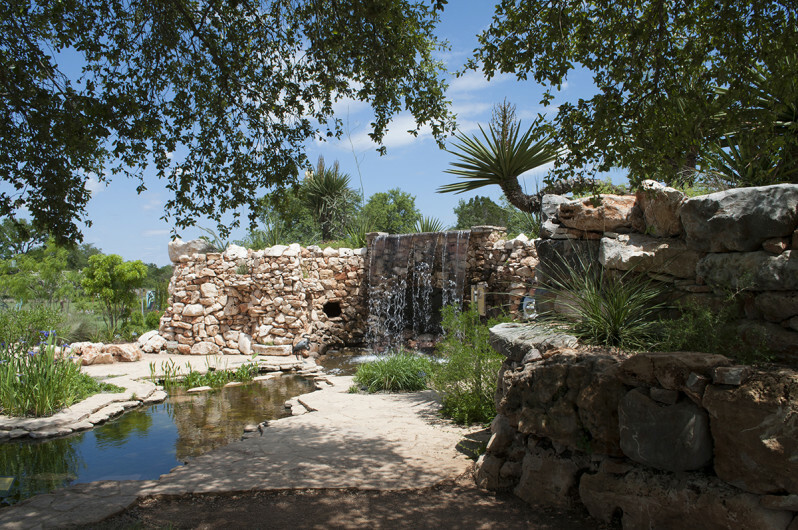 The central core includes a waterfall and creek inspired by Hamilton Pool Preserve, a natural cave created by the collapse of an underground river, which is an icon of the Central Texas landscape. 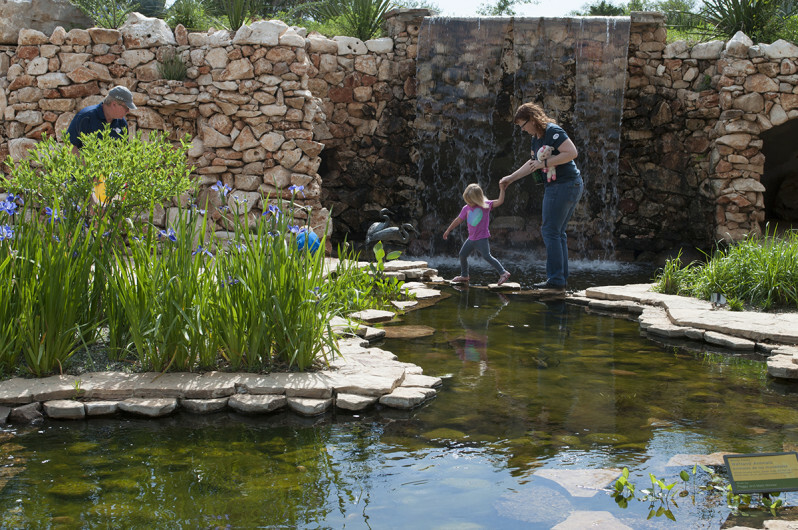 Visitors enjoy unstructured learning and play. 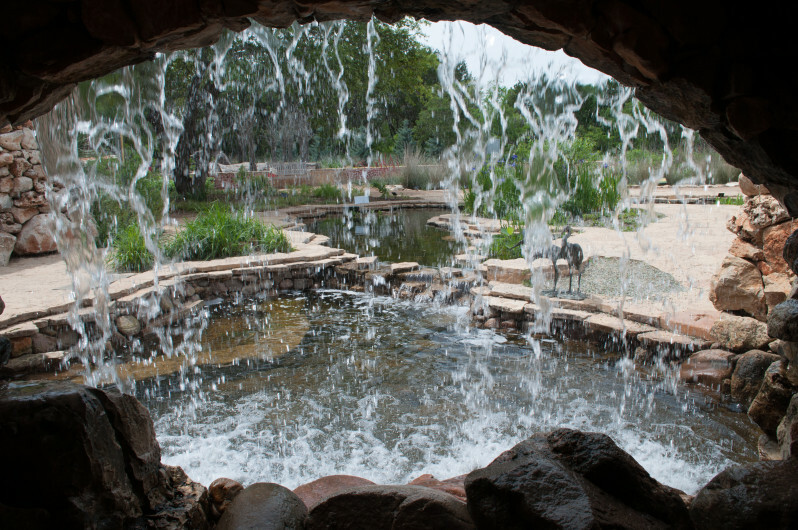 The waterfall was inspired by caves at Hamilton Pool Preserve near Austin. 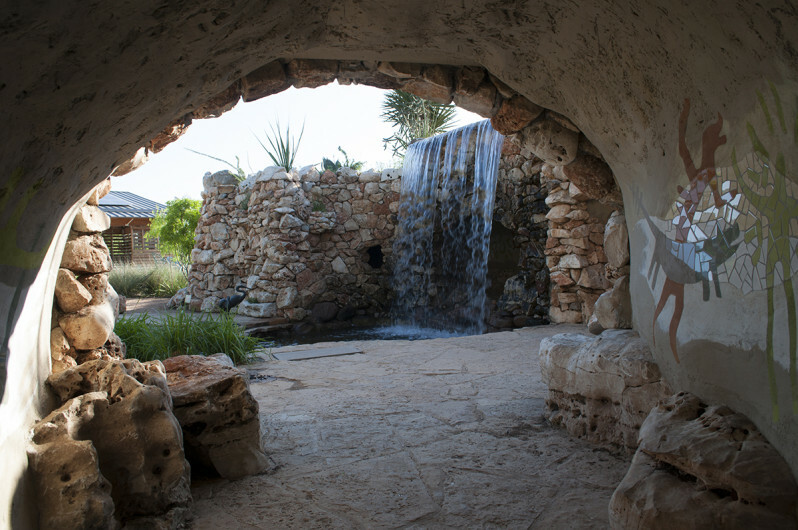 View from the Hill Country Grotto. 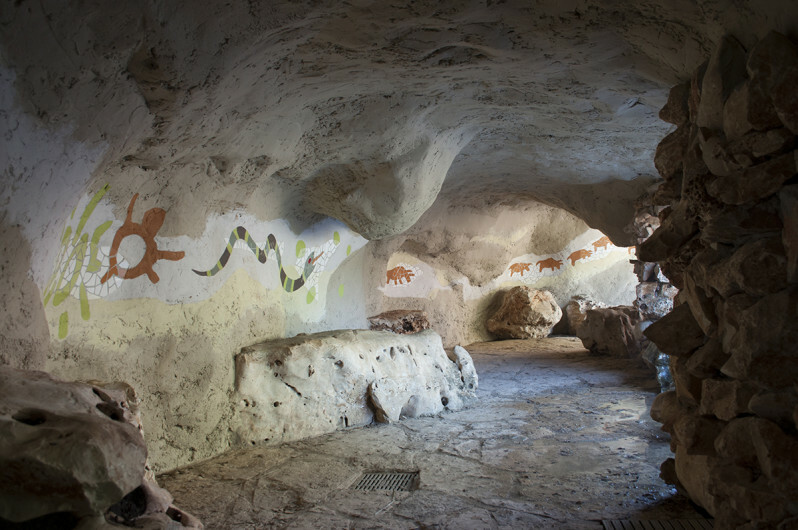 In the cave behind the waterfall, the ceiling height is made for kids, while tile mosaics refer to the Native American pictographs along Chimneys Trail at Big Bend National Park. A second cave offers a view to the waterfall. A simple spiral wall gives visual continuity to a collection of plants with spiraling flowers and leaves. 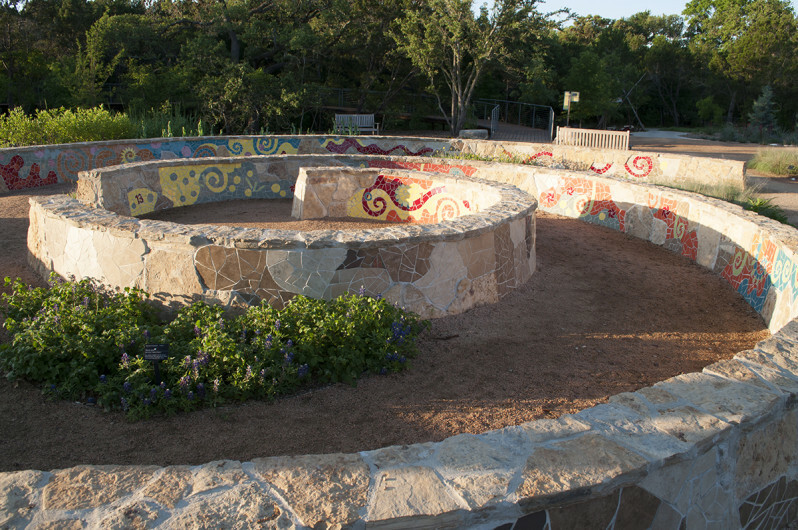 Inside the wall, brightly colored tile mosaics show the spiraling plant parts. The outside surfaces are shades of natural brown. 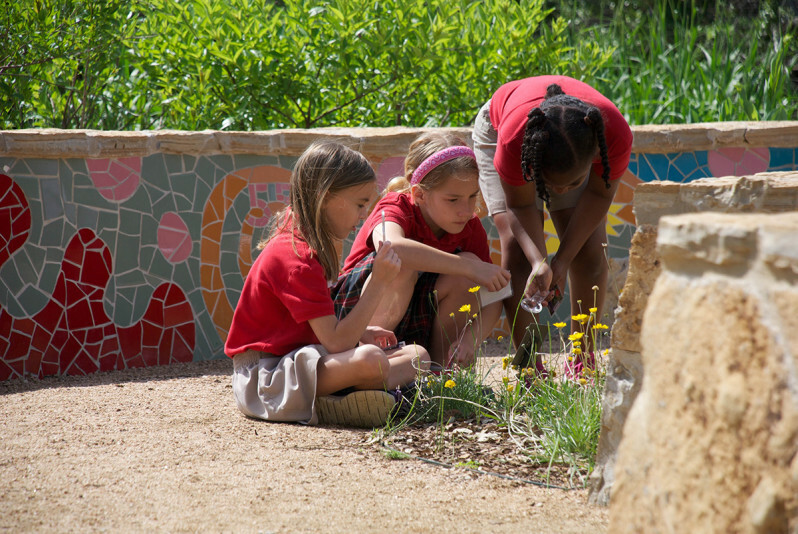 Education happens more through programmed activities than interpretive signage. A jumble of native oaks in the Stumpery. 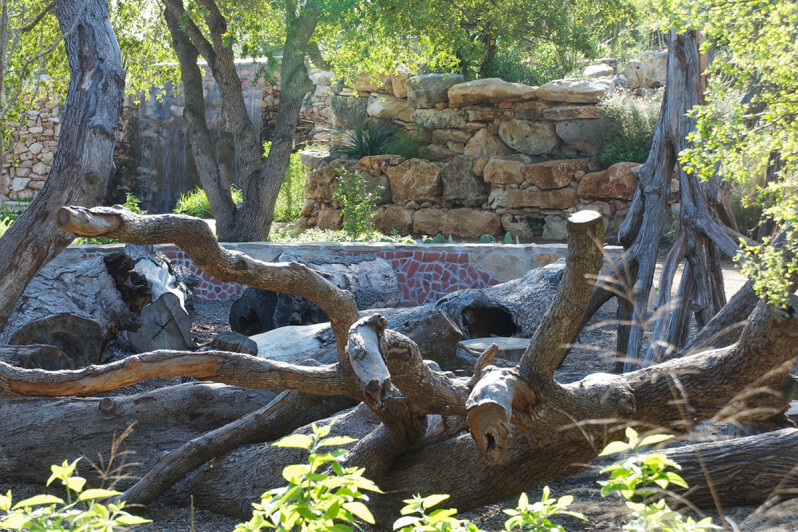 The Stumpery also has a cluster of upside down cedars. 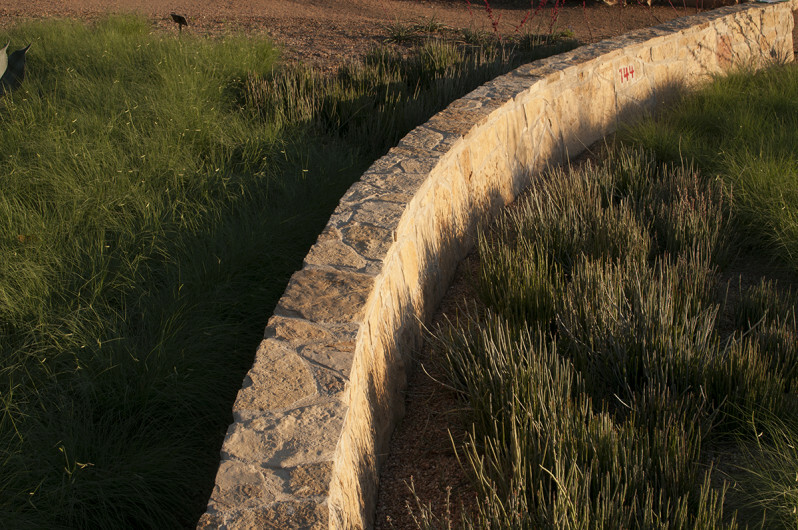 Native stone walls provide visual continuity through the entire garden. 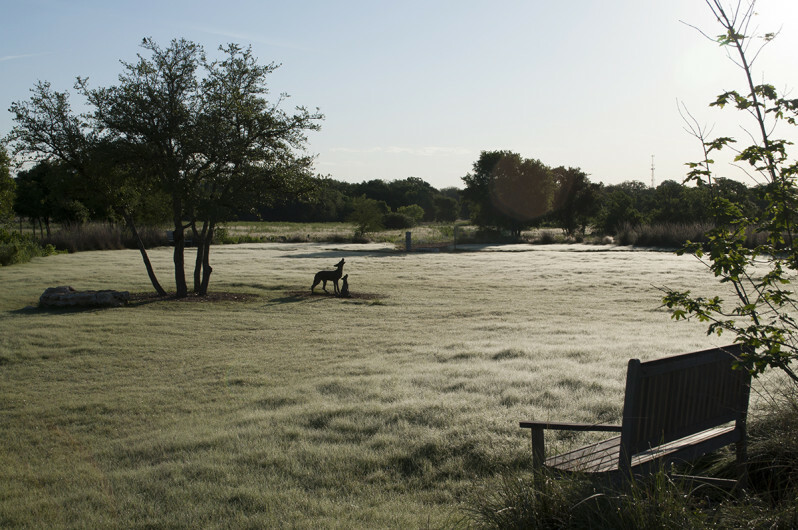 The central play space is covered with native buffalo grass. 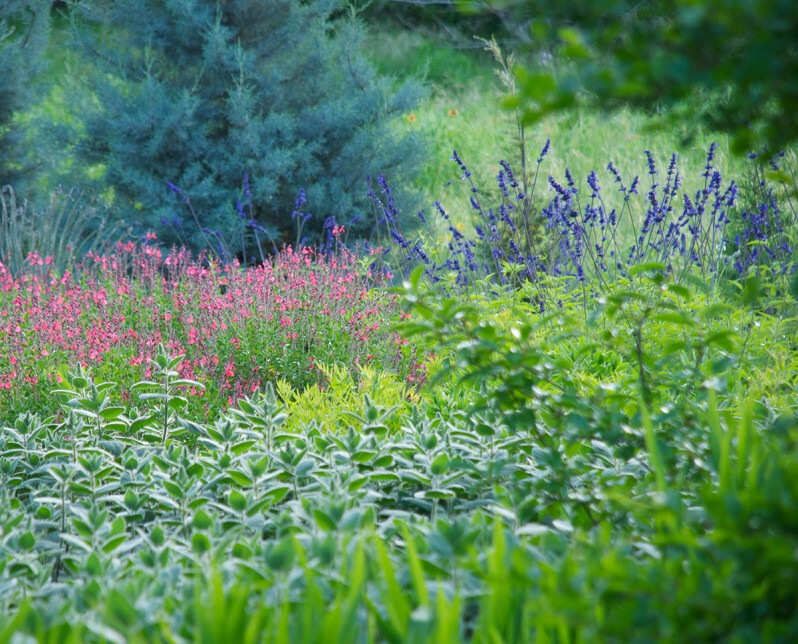 Native perennials and grasses are displayed to emphasize their ornamental qualities. 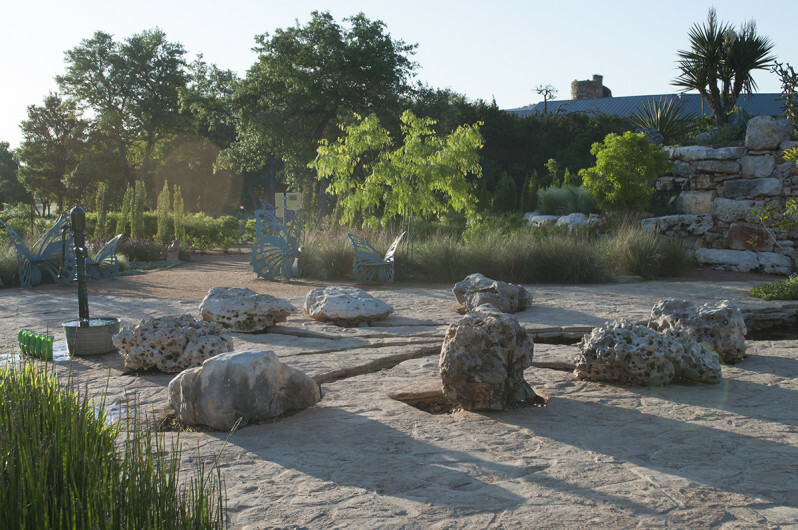 An old hand pump and a circle of Karst limestone boulders combine environmental sculpture with education about groundwater recharge. 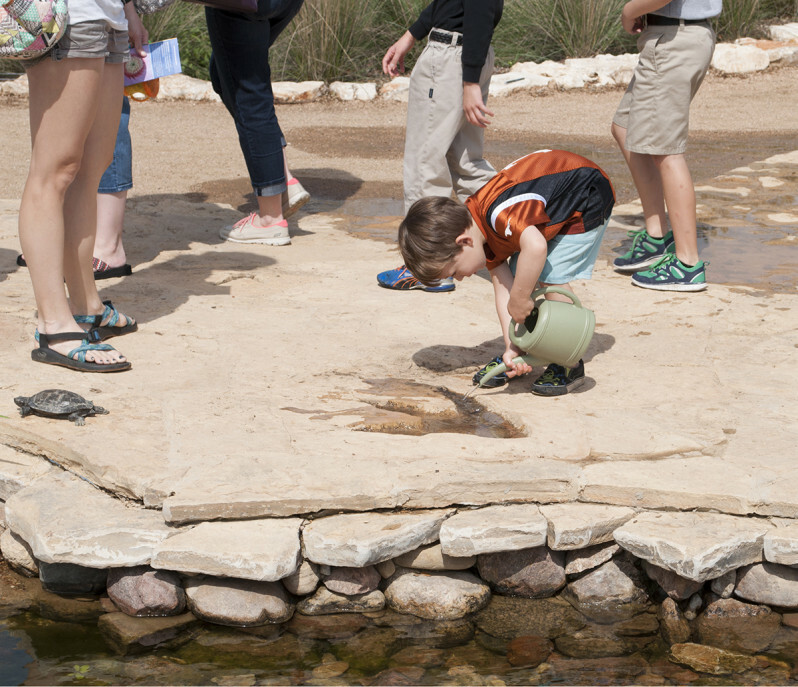 In Dinosaur Creek, footprints were cast from actual dinosaur footprints just thirteen miles from the Wildflower Center. 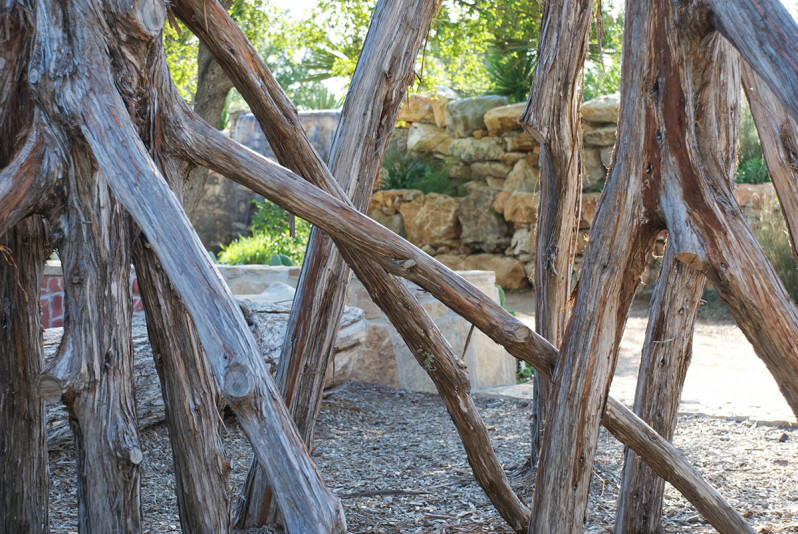 The entire garden was made from local, natural materials.